Bring to boil and then simmer till fruit absorbs uniform red colour BUT still firm. Take out pears, set aside, and continue simmering the syrup on stove. Reduce the sauce to desired thickness. Remember when the sauce is cold it will thicken further. Garnish with fresh mint and meringue. Artfully paint drops around the plate. Was a lovely light, refreshing dessert for the sedder. Half or quarter pear was enough per person after such a heavy meal. Was a "hit". Make plenty of the syrup they LOVED the syrup. 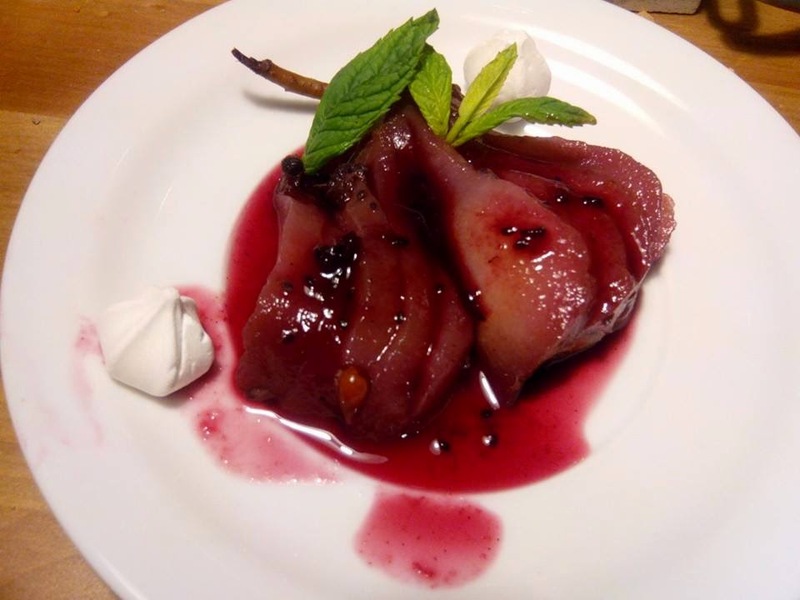 I am always keen on introducing my family to desserts that include fruit, and pears make a very healthy choice! With vitamins B2, C and E and a good source of fibre, copper and potassium, plus the benefits of the strawberries and raspberries I used in this recipe, I made my family a tasty dessert packed with goodness. Yes, so healthy and tasty for everyone!